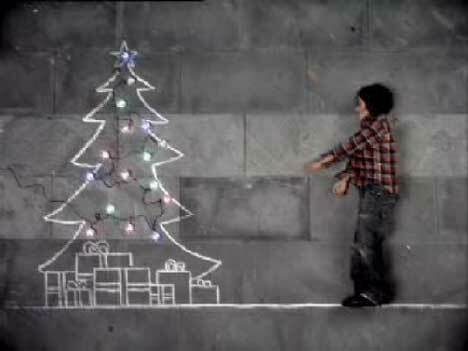 Auckland City Mission, New Zealand, launched the 2005 Christmas Appeal with “Pavement”, a poignant TV ad featuring a young homeless Aucklander imagining his perfect Christmas day with the help of a piece of chalk. Auckland City Mission’s 2005 Christmas Appeal focused on the reality that despite an ‘economic boom’ not everyone in New Zealand is doing well. There are still thousands of New Zealanders struggling to provide for themselves and their families. In fact research shows that approximately one-in-three New Zealand children are living in poverty – thats almost 300,000 children. In addition, many Kiwi families are battling hard throughout the year to make ends meet. Christmas makes it even harder for these families and individuals to survive. However there is something positive that the community can do to change this. Together the challenge is to bring Christmas to every Auckland child and demonstrate in the most practical of ways ‘Aucklanders helping Aucklanders’. The finale for the Appeal each year is the Auckland City Mission Christmas Dinner in the Auckland Town Hall attended by 1,200 people who would otherwise be lonely on Christmas Day, or unable to afford a special meal. The meal includes a feast of turkey with all the trimmings, entertainment by top New Zealand performers and a visit from Santa. Everyone who attends goes home with a present. 300 volunteers assist with serving meals, preparing food, decorating the hall, and distributing presents. The ‘Pavement’ campaign was developed pro bono at Publicis Mojo, Auckland, by creative director/copywriter Nick Worthington, copywriters Seymour Pope and Nigel Clark, art director Leighton Dyer, and agency producer Jodi Hari. The concept for the ‘Pavement’ ad came from a short film, Street Dreams, directed by Si & Ad in London, featuring Ashley Walters (Asher D from So Solid Crew). Filming was directed by Simon Atkinson and Adam Townley (Si & Ad) via Acadamy Films, London, with producers Lizzie Gower, Larra Kaufman and and William Grieve. The spot was shot in an old grain store in Auckland. Post production was done at Golden Square Post Production, London. 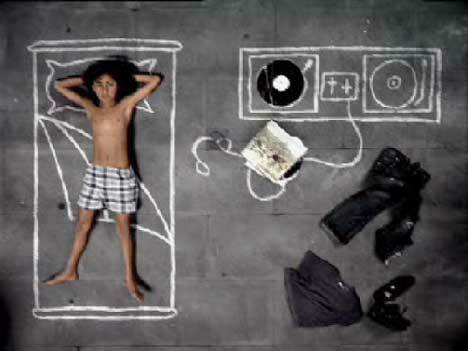 CAANZ (Communication Agencies Association New Zealand) gave ‘Pavement’ a Bronze for unpaid PSA electronic.